Crisis Chronicles Press among Up the Staircase's "Best of 2014"
Thanks to Blood Pudding Press editor Juliet Cook for counting Crisis Chronicles among her Favorite Poetry-Infused Experiences of 2014. Crisis Chronicles Press is thrilled to announce the imminent publication of #ThisIsCLE: An Anthology of the 2014 Best Cleveland Poem Competition on 5 January 2015. Available now by mail and online — and soon from particular independent bookstores across the country! Please join us for the official #ThisIsCLE release party on January 5th 2015 during Mondays at Mahall's Poetry and Prose series at Mahall's 20 Lanes, 13200 Madison Avenue in Lakewood, Ohio. Meet and hear many of the contributors there. 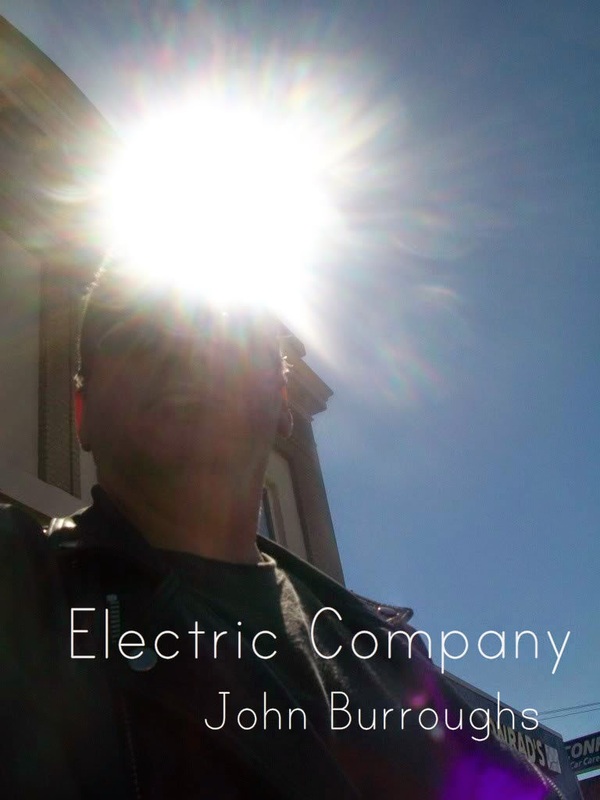 Speaking of order, click here to get your copy of the new 2nd edition of Electric Company for $8 from Writing Knights Press. You may recall that I was one of several Ohio Poetry Association members who testified at the Ohio Statehouse earlier this year in support of Senate Bill 84. I am now pleased to report that the General Assembly has passed the bill and created the position of Ohio Poet Laureate. Read Senator Kearney's announcement at the Minority Caucus Blog. Sec. 3379.12. (A) The position of Ohio poet laureate is hereby created. The Ohio poet laureate shall be appointed by the governor from a list of not less than three candidates recommended by the Ohio Arts Council based on qualifications developed by the arts council under division (F) of section 3379.03 of the Revised Code. The arts council shall submit its list of candidates to the governor not less than ninety days prior to the beginning of the Ohio poet laureate's term of office. (B) The term of office for the Ohio poet laureate shall be for two years. The initial term shall begin on January 1, 2016. (C) In the event of the death, resignation, or any other vacancy or inability to perform the duties of Ohio poet laureate during an individual's unexpired term of office, not later than sixty days after the vacancy occurs, the Ohio arts council shall recommend a candidate to the governor to serve as poet laureate for the remainder of that unexpired term of office. (D) An individual may be reappointed to subsequent terms of office, at the discretion of the governor. 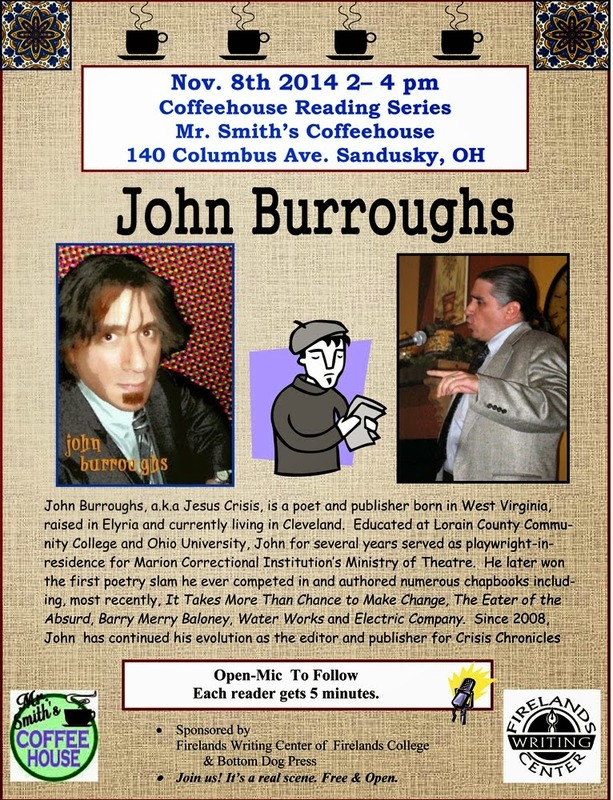 The Monday at Mahall's Poetry Series and Crisis Chronicles Press will kick off the new year with a special event on Monday January 5th at 7:30 p.m. at the now 90-year-old Mahall's 20 Lanes, 13200 Madison Avenue, in Lakewood, Ohio. Cleveland poet/musician Jeffrey Bowen will perform. 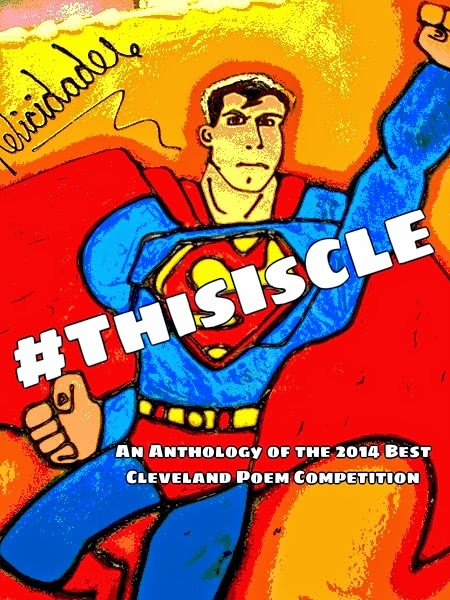 Plus Crisis Chronicles Press will release #ThisIsCLE: An Anthology of the 2014 Best Cleveland Poem Competition. Book contributors will also read. An open mic emceed by John Burroughs will follow. 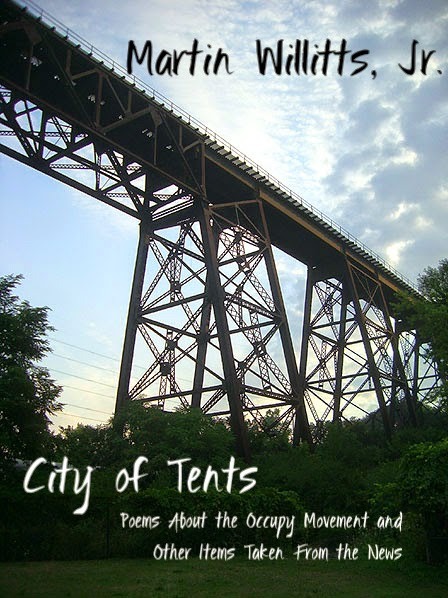 Jeffrey Bowen’s poetry has been published by ArtCrimes, Cicada, Cool Cleveland, Crisis Chronicles, CSU Poetry Center, Dimensions, Doan Brook Watershed, Excursions, Green Panda Press, Hessler Street Fair, Procrastination Press, Poet’s League of Greater Cleveland, The City, The Cleveland Reader and Whiskey Island Magazine. He is one of six poets profiled in the 1995 documentary, “Off the Page”. Four of his poems are featured on Cleveland Tumbadors, an album of Traditional Afro Cuban Music and Latin Jazz on Fame City Records. Jeffrey is the resident poet & conga player with the band, Cats On Holiday, and his poetry appears on their CD, Holiday in a Box from COHTONE Records. 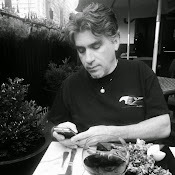 In addition to his poetic work, Jeffrey’s writing has appeared in Call & Post, City News, Cool Cleveland, EcoWatch, Elephant Journal, Girl Scout News, GreenCityBlueLake, Live Cleveland, Neighborhood News, Nonprofit Notes, Sun News and various Habitat for Humanity publications. 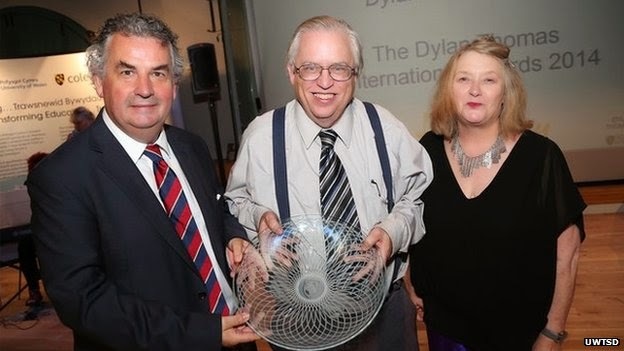 For more information about the Best Cleveland Poem Competition, sponsored annually by Tim "I'll make them pay" Misny, click here. To check out last year's book, Songs in the Key of Cleveland: An Anthology of the 2013 Best Cleveland Poem Competition, click here. Thank you, Writing Knights! And thanks to Journey Art Gallery and the evening's other featured artists: Zach, Andi Line and Styles83. Guide to Kulchur Press has recently published volume two of the GTK Creative Journal edited by Krystal Sierra, and I feel honored that two of my poems ("No" and "Aye, Pod") appear in it. It's a lovely book, with cover art by Marlee Pickles. 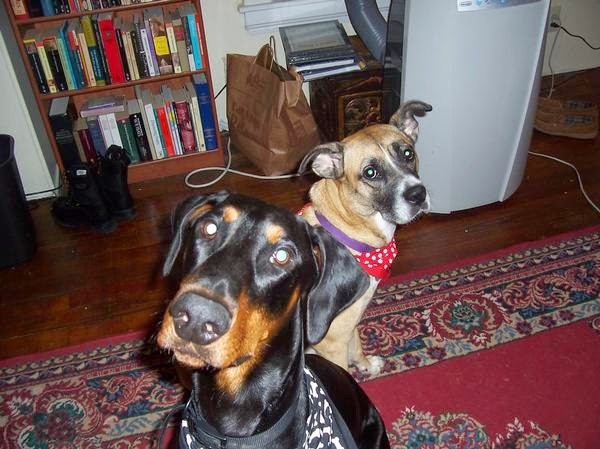 Other contributors include Bree, Zena Smith, Holly Jensen, Michelle R. Smith, Pedro Sarsama, Miles Budimir, N.I. Nicholson, John Dorsey, Joel Allegretti, Patrick Falconi, Carly Haufe, Kushal Poddar, Alan Cliffe, Matt Margo, Howie Good, Sarah Marcus, Molly Fuller, Mary Owen, Doug Mathewson, Rob Jackson, Lynn Brearley, Steve Kleptetar, Robert Beveridge, Alissa Nutting, Jason Wright, Barton Smock, Janet Veil, Christopher Quinn, Judith L. Harper and Patricia Harusame Leebove. The GTK website says the journal is published in a handcrafted edition of 200. That means you should probably get yours soon while you still can. Thank you to Kristen D. Scott for her new review of my book The Eater of the Absurd (from NightBallet Press) in the Fall 2014 issue of Knot Magazine. Among other things, she calls me "bodacious, and at the same time graceful, a gentleman and a conveyor of no nonsense tolerance." I hope I can live up to that. 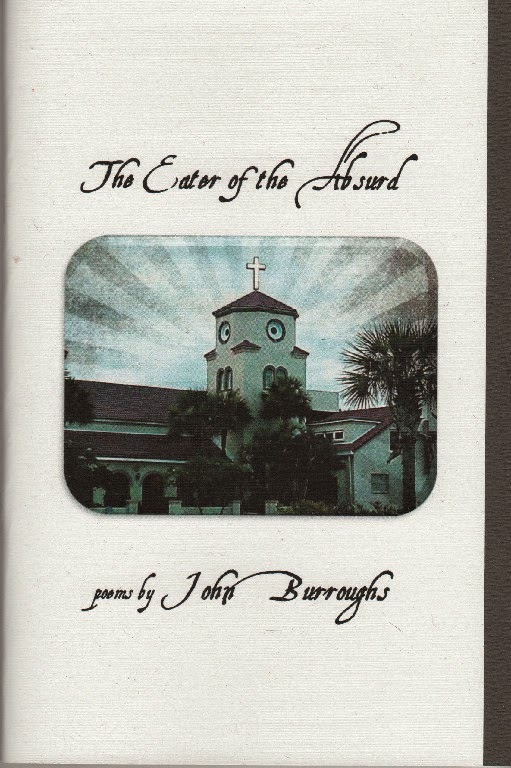 I'm also pleased to report that The Eater of the Absurd has been nominated for an Ohioana Book Award, as has Songs in the Key of Cleveland: An Anthology of the 2013 Best Cleveland Poem Competition (published earlier this year by Crisis Chronicles Press). Click here to read Kristen's full review of The Eater. Click here to buy the book and decide for yourself. For more info, see our FB event page. 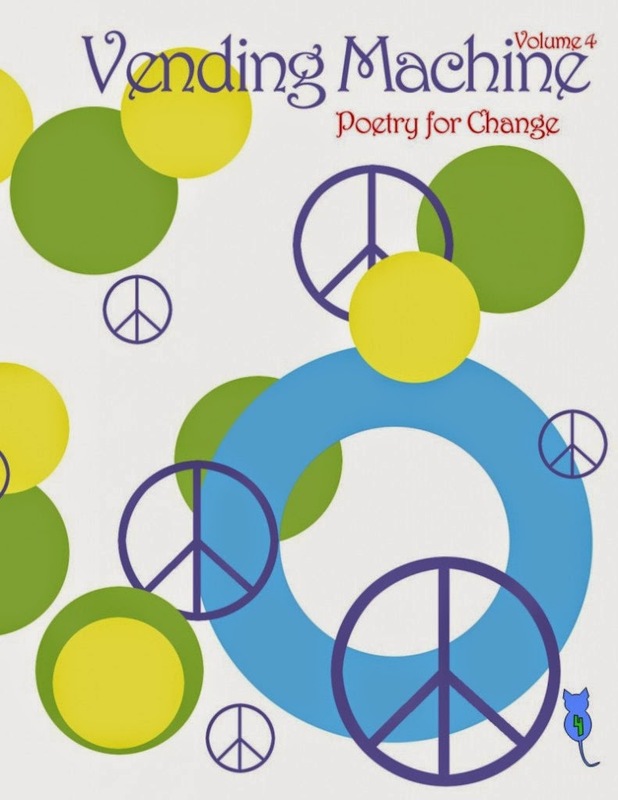 My new poem "Primacy" appears in the book Vending Machine: Poetry for Change Volume 5, to be released Saturday 11/22/2014 by the Poet's Haven. To get a free copy, take a food donation to the launch event at at Karma Cafe in Canton, Ohio, at 6 p.m. Featured performers will be Akeem-Jamal Rollins, Mark Sebastian Jordan, Nikann Charney and Nikie Decay. For more details, see the Facebook event page. We are thrilled to publish a new chapbook-length poem by the inimitable Bree! It's a big bang, multiverse, oh-my-wow of a work that blew me away. I bet it will you, too. Get I Don't for $7 US from Crisis Chronicles Press, 3344 W. 105th Street #4, Cleveland, Ohio 44111 USA. Out 15 November 2014, 20+ pages, hand assembled, recycled paper, black end papers, saddle staple card stock bound, featuring cover art by Smith. ISBN: 978-1-940996-12-7. 1st ed. 59 copies. Bree's work has been published by Arthur Magazine, ArtCrimes, Big Bridge, Big Hammer, Bottle of Smoke, Bottom Dog, Cleveland State University, Deep Cleveland, Ecstatic Peace, Iniquity, Jawbone, Kirpan, Miser, Muse, Ronin Press, Split Whiskey, Temple, The City, The Literary Underground and countless precious mags. She is the author of Some Hiatus: Tucky Poems (2014); A Leg to Stand On (2013); The Rainbow Sweater & My Mother (2012); Let Cupid Know (Ronin Press 2012); Laying Pans (Ecstatic Peace 2009), Sleeping with the Sun In His Eyes with Akol Madut, the story of one Lost Boy of Sudan, and how he found his home in Cleveland, OH; (2009); was chicken trax amid sparrows tread (Temple 2009); Awol culinary poems (Ptrint /P2Begin, Cleveland 2009); and many titles thru her Green Panda Press, began in 2001, which puts out anthies, collections and ephemera, produces poetry fests and events assembling the small press community, getting poets who face each other on pages in the same room for a bit of company. Cemetery Arts Productions presents: poetry and music by Ryan Sagert, Ruben Escandon, Jeremy Ryzhevski, John Burroughs and more TBA at the Arabica Coffee Bistro, 254 Park Avenue, Amherst. Friday Night Writes featuring John Burroughs at Poet's Hall. Evening includes an open mic. Poets' Hall, 1136 E. Lake Rd. in Erie. 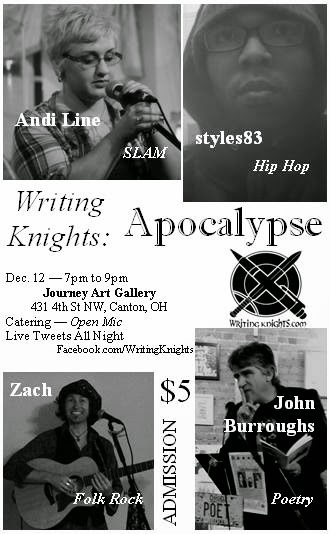 Writing Knights Apocalypse featuring John Burroughs, styles83, Andi Line and Zach. $5 cover, catered event, proceeds go to the artists. Open mic included. Journey Art Gallery, 431 4th Street NW, Canton. Looking forward to this! The last time I read here was in March 2011, and I had a great time. Poet/playwright Elise Geither is one of my favorite Ohio writers, and has been for years. 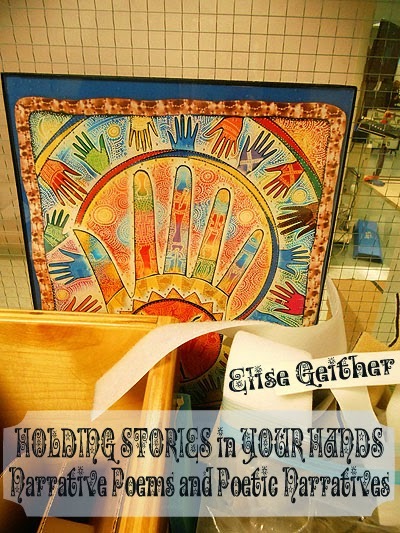 So I'm excited to announce the release of her new Crisis Chronicles Press chapbook, HOLDING STORIES in YOUR HANDS. This book is 25 pages, loving handbound with ivory cardstock cover and black endpapers. Highlights include "The End of Once Upon," "How to Fold a Woman" and "Into the Woods We Go." Get yours for $7 from Crisis Chronicles Press, 3344 W. 105th Street #4, Cleveland, Ohio 44111 USA. ISBN 978-1-940996-11-0. 1st edition: 100 copies. Join us for the official release and meet Elise at 7:30 pm on 3 November 2014 during Monday at Mahall's featuring Writer's Root, 13200 Madison Avenue in Lakewood, Ohio. My "Smoker" appears in this mighty fine book edited by Ron Androla of Pressure Press. Click here to get your copy while it's hot off the presses! Contributors include Adrian C. Louis, Patrick Mckinnon, Cheryl Townsend, Bree, Jeff Weddle, John Korn, Sean Thomas Dougherty, Bart Solarcyzk, Dave Roskos, Tom Blessing, John Burroughs, Greg Brown, Jeremiah Walton, Joyce Chelmo, Liz Minette, Marisa Moks-Unger, Coleen Shin, Carter Monroe, Sheila Murphy, Peggy Eldridge-Love, Didi Menendez, Barbara Moore, Mike Boyle, Bud Backen, Joan Papalia-Eisert, Jim Chandler, Belinda Subraman, Andy Darlington, C.F. Roberts, Chuck Joy, Mark Hartenbach, Cee Williams, Matt Shaw, Danny Baker, Mike Castro and Jeff Filipski. "LevyFest is a poetry festival and conference celebrating Cleveland poet, publisher, and artist d.a. levy (1942-1968) and his influence upon small press publishing, print and book arts, and the poetry communities of Cleveland, Ohio, and beyond" [quotation from the Cleveland State University website]. 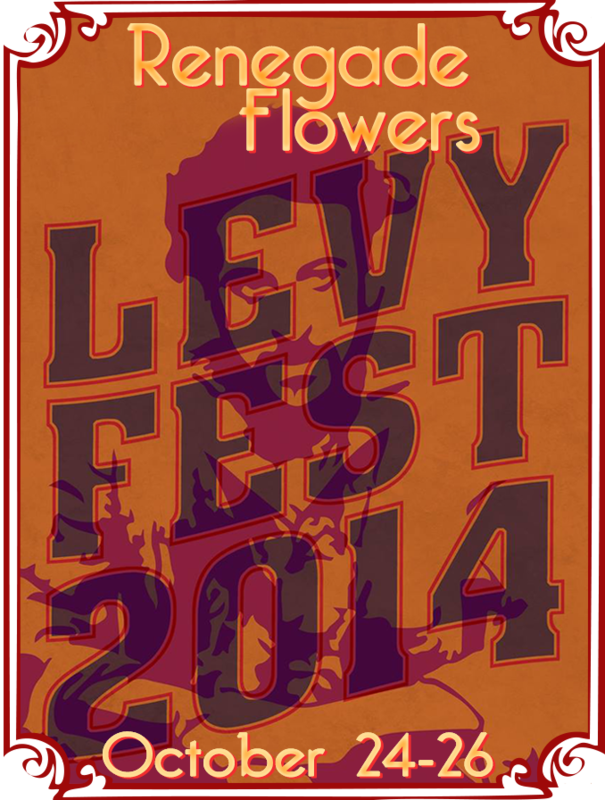 Crisis Chronicles Press is happy to be participating in LevyFest 2014 as the celebration returns to Cleveland on October 24th through 26th. We'll be one of several small presses with a table set up at CSU's Michael Schwartz Library, 1st Floor East Wing, from 12:30 to 4:45 p.m. on Saturday. Among the many legendary poets and publishers coming into town for this event will be D.R. Wagner, whose new book The Night Market was recently published by Crisis Chronicles. I hope you'll come out and meet him at some point. D.R. will be reading Friday night at the Spotted Owl, participating in a historic panel Saturday morning at the Schwartz Library and reading again Saturday evening at the Literary Cafe. Other CC Press authors will be making appearances at other times and places during LevyFest 2014, including Saturday evening at the Lava Lounge. For a complete listing of on-campus events (Saturday) click here. For a complete listing of off-campus events (Friday through Sunday), click here. 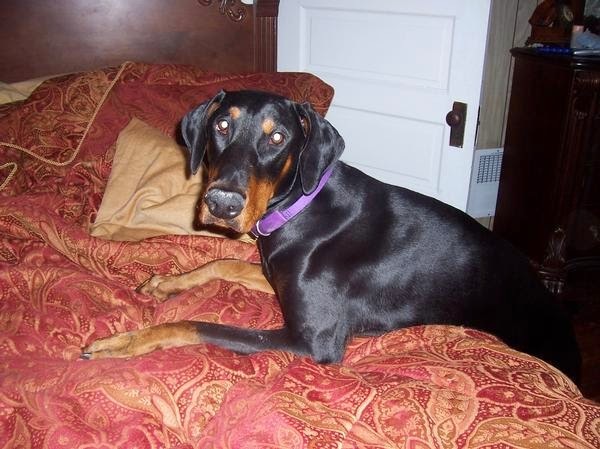 We will always love you, sweet boy. My short poem "[ ]ending" appeared in the book VENDING MACHINE: Poetry for Change volume 4 last year. Now it's just been made available as a free e-book by The Poets Haven. Meanwhile, there are a still a couple of days left for you to get your submissions in for this year's volume (and support a good cause). 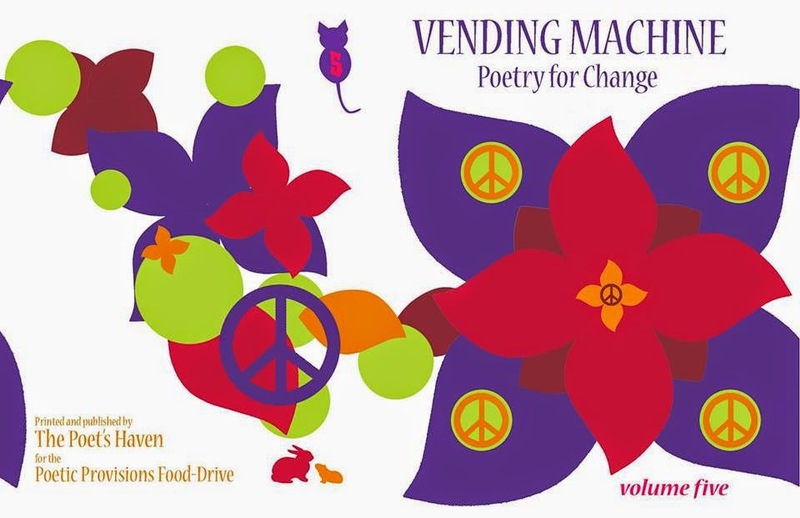 Call for Submissions - VENDING MACHINE: Poetry for Change volume 5. P.S. In Crisis Chronicles Press' recent collaborative book Oct Tongue -1, I mention two senryu I wrote at my dying mother's bedside last year. "[ ]ending" is one of those two. Though I mention it in Oct Tongue, it doesn't appear in that book. It's only in Vending Machine 4. However, two Vending Machine 4 poems DO appear in Oct Tongue: "Pants Day: May 1970" by Shelley Chernin and "It's Changing" by Steve Brightman. 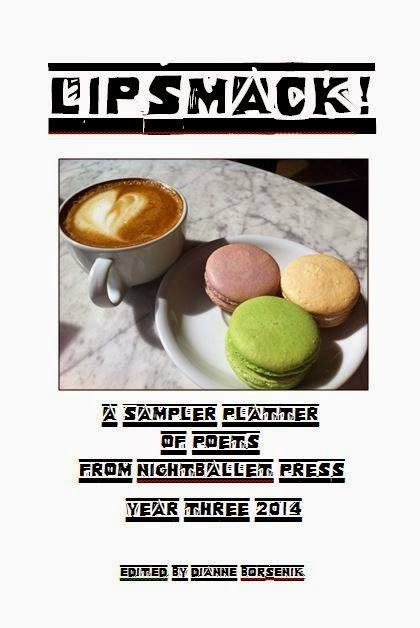 This month Monday at Mahall's Poetry & Prose Series is partnering with NightBallet Press to celebrate the book release of Lipsmack! : A Sampler Platter of Poets from NightBallet Press Year 3. Four fine featured poets (and Lipsmack! contributors) - Jennifer Hambrick (from Columbus), Andy Roberts (Colmbus), Jason Baldinger (Pittsburgh) and Dan Smith (Cleveland) - will read, followed by our ever-interesting open mic. Beer bowling and balderdash optional. I'll be emceeing, joined by NightBallet editor/publisher Dianne Borsenik. And we'd love to see you there! It all happens Monday October 6th 2014, 7:30 p.m., at Mahall's 20 Lanes, 13200 Madison Avenue, Lakewood, Ohio. Jennifer Hambrick has been published in Pudding Magazine, WestWard Quarterly, Common Threads, the anthology Everything Stops and Listens, the Columbus Creative Cooperative’s Ides of March anthology, and the Ohio Poetry Day Best of 2011 prizewinners’ collection. 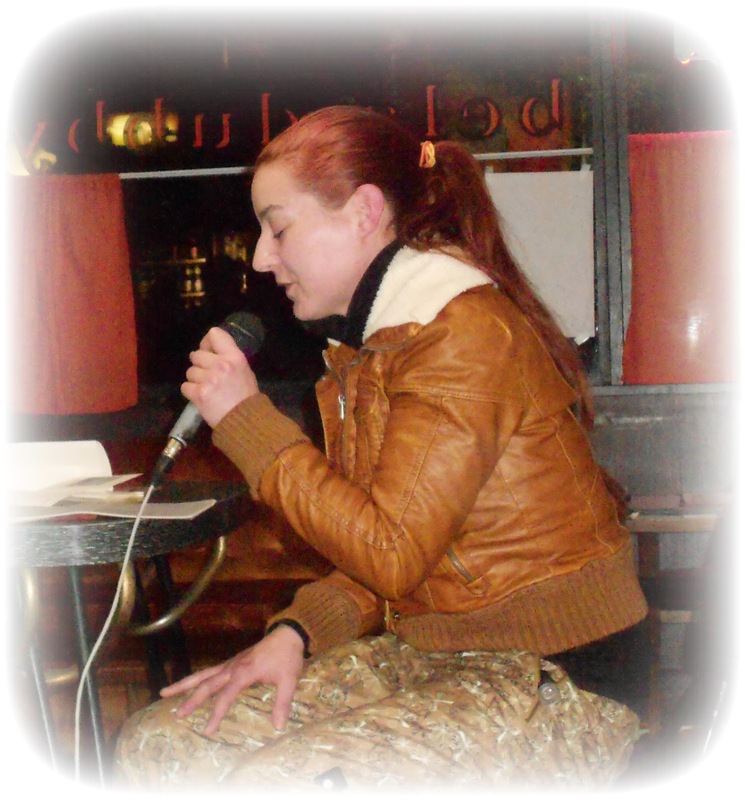 Her first chapbook of poetry, Unscathed, was published in 2013 by NBP. Hambrick enjoys a lively schedule of featured poetry readings around central Ohio, and is a classical musician, public radio broadcaster, producer, and blogger. 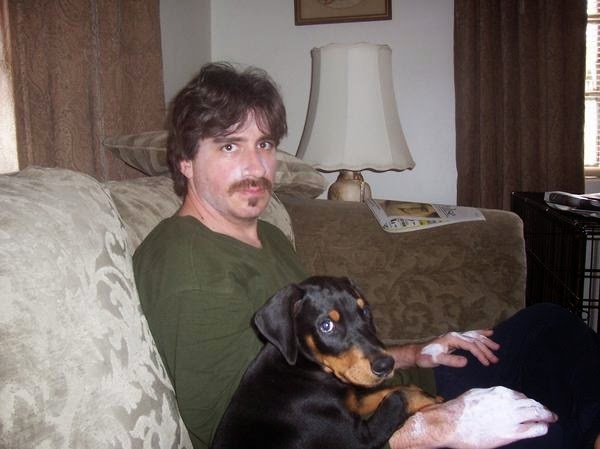 Andy Roberts lives in Columbus, Ohio where he handles finances for disabled veterans. His poems and stories have appeared in hundreds of small press journals over the last 25 years, including Atlanta Review, Coal City Review, Fulcrum, Hiram Poetry Review, Ilya’s Honey, Lake Effect, Mudfish, Plainsongs, San Jose Studies, Slipstream, The Sow’s Ear Poetry Review, and many others. Roberts has three Pushcart Prize nominations for his work. 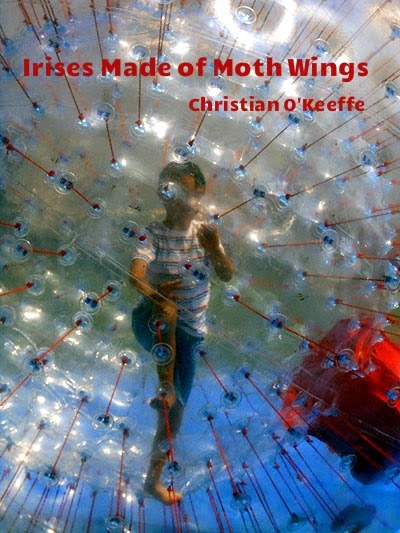 The Green World is his fourth chapbook, and his first from NightBallet Press. Another book from NBP is planned for 2015. Jason Baldinger has been writing poetry for over twenty years and just recently got around to performing it publicly. His latest books are The Lower 48 (Six Gallery Press) and The Studs Terkel Blues (NightBallet Press, 2014). His work has appeared in The New Yinzer, Shatter Wig Press, and Blast Furnace, and others. 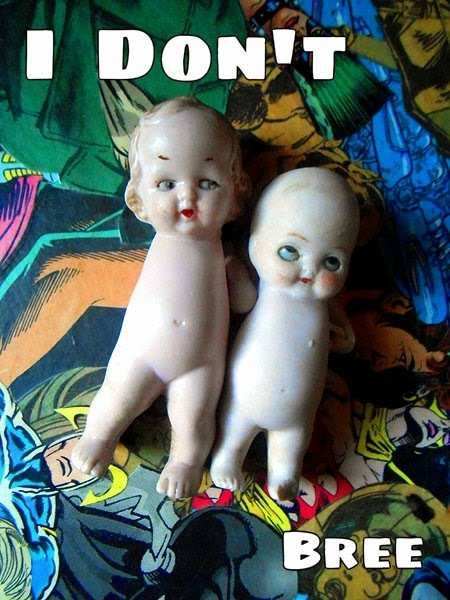 Check out The Lady Pittsburgh (Speed and Briscoe Press), his first solo collection, in audio at http://jasonbaldinger.bandcamp.com/. Dan Smith, author of the epic poem "i am down with you crooked river," is widely published. 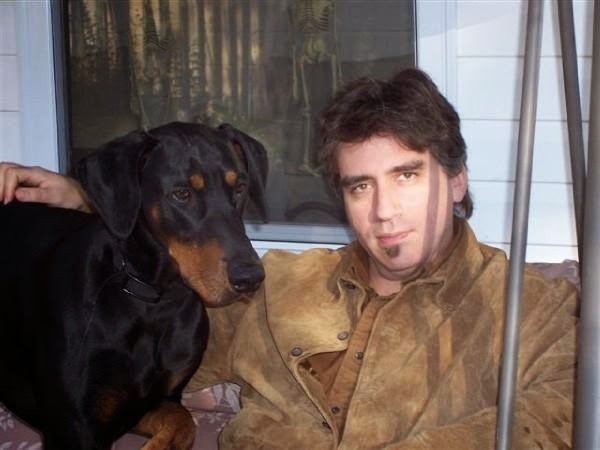 His speculative poetry has been nominated for the SFPA Rhysling Award, and his NBP November, 2013 speculative poetry book The Liquid of Her Skin, the Suns of Her Eyes, was nominated for the SFPA’s Elgin Award. His spoken word cd, Matinee Motel (2012) is described as "surreal urban poetry...paired with the music of the Deep Cleveland Trio, from jazz to rock to noise." 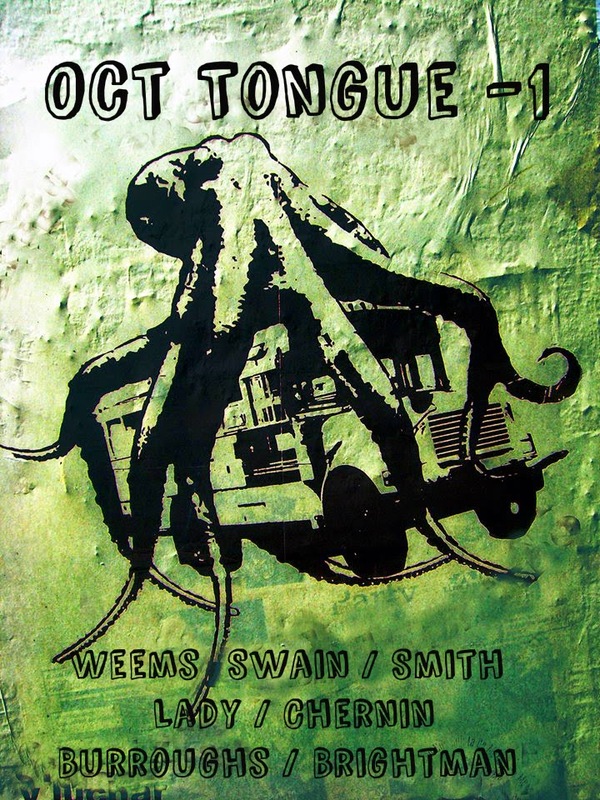 Smith's previous chapbook, Crooked River, was published by Deep Cleveland Press in 2005.